Here's a look at our heirloom tomatoes we're hoping to keep through most of the winter. These are the ones on the outside at the south of the house. A couple are still on the porch, with me. Remember, these are the tomato plants produced from seeds we saved from last year's tomatoes. Despite a couple of frosty nights, our Johnson German transplants are doing just fine, thank you very much. Just got through pruning off the some big fat suckers and re-potted them for next spring. A big fat sucker, there on the back. Above is one sucker we missed. 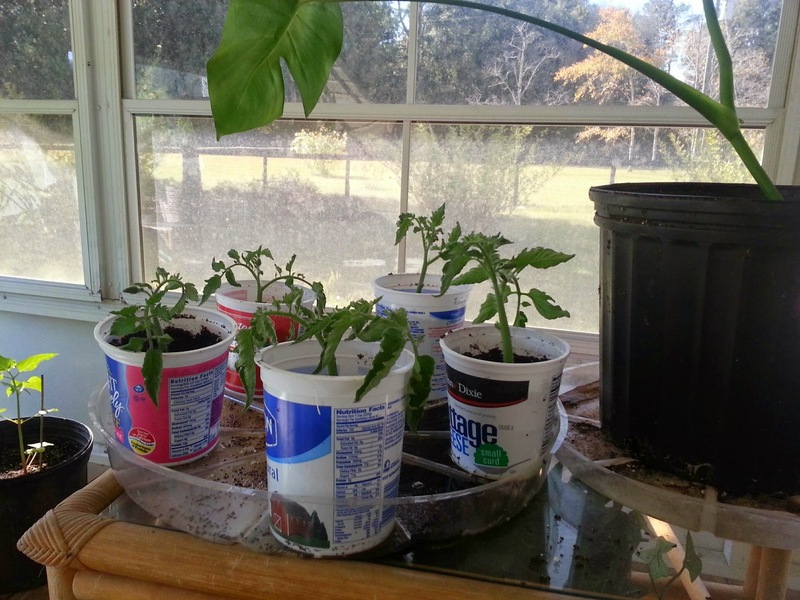 It will make a nice tomato transplant to keep on the sun porch. I know, "move over, Digger". The porch is getting a little crowded, already. What with the new bamboo starts and other not-cold-hardy plants ol' Bill's been moving in. There's hardly room enough for my toy collection. 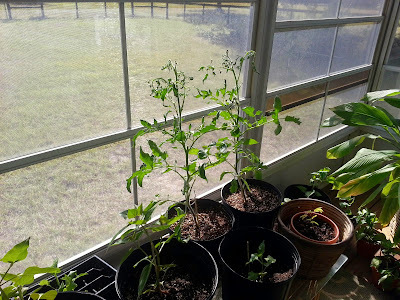 By planting a few suckers along the way, the tomato becomes "perennial" and, in theory, you'll never have to buy tomato seedlings again. We'll see.... Wouldn't that be nice? 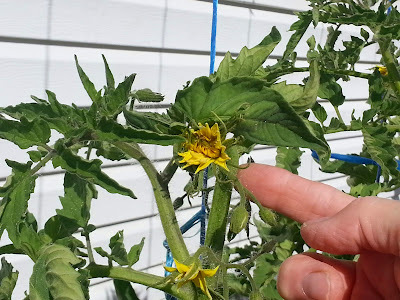 Here is one monster bloom that's opening up on one of the tomato plants outside. Is that a sunflower or a tomato blossom? 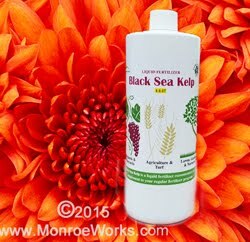 By trimming off the suckers, providing constant water via a drip, and laying on the organic worm castings with a weekly dose of VermaPlex® liquid, the plant is getting maximum nutrition for fruit production. The bloom stems or "fingers" are particularly stout and thick. Shouldn't be any blossom drop. When the suckers are left on, the plant is putting all it's efforts into growing the offshoots and not into the one stalk with it's blooms. I know, I know, it's difficult to trim, especially when the suckers are thick and healthy. But it's absolutely necessary. Besides, they make excellent new plants. One thing we learned is to put the trimmed off sucker straight into moist potting soil, rather than a container of water to form roots before planting. 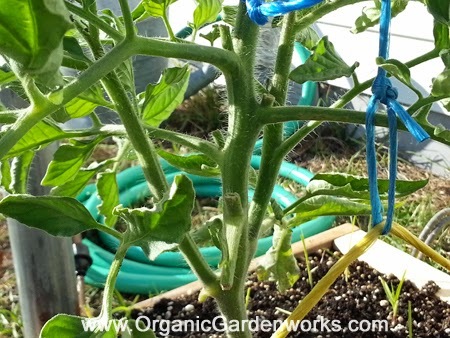 The fine hairs on the stem grow into roots right away and the tomato plant performs better. 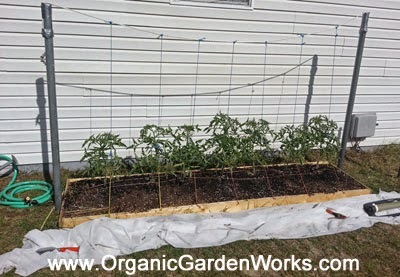 Here are some of the tomato suckers we planted in this way last week. They're doing fine, no wilt at all. One was knocked over (I had nothing to do with it, I swear) and you could see the roots already starting on the stem. Just have to keep the potting soil very moist. 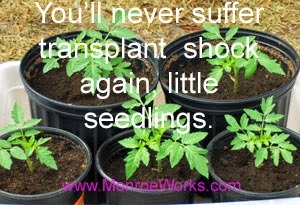 Recycled containers make great transplanting pots. Ugly but cheap. Not as big and stout as the outside ones, but still growing and putting out blossoms. And they're safe! Our plan is to let one sucker on each plant go until it's big enough to transplant. 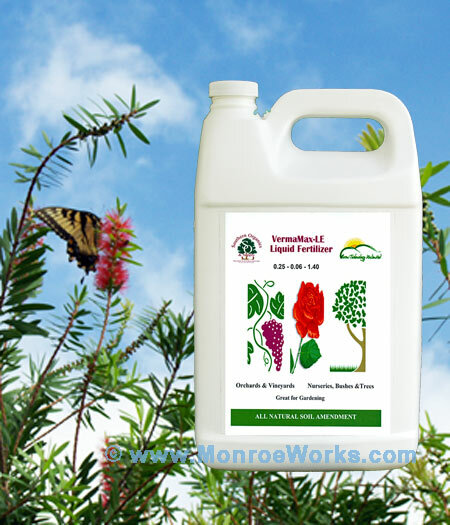 At least until we have enough transplants for the winter and spring. That way, the mother plants won't be too stressed and overworked. We'll see how that goes. For now, that sun ray landing on my cushion is getting m-i-g-h-t-y tempting. 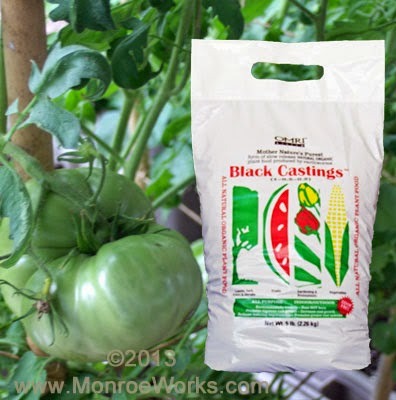 What's the best fertilizer for tomatoes? Use slow release, certified organic worm castings and VermaPlex® for the best tasting, most nutritious tomatoes possible. Pure Black Castings Slow release, never burns. 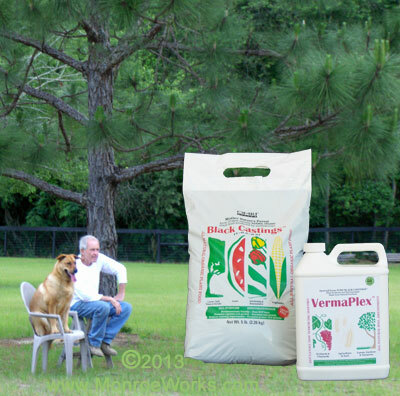 VermaPlex®: Provides continuous feeding for maximum growth and fruit production.